“Then Moses went up from the plains of Moab to Mount Nebo, to the top of Pisgah, which is across from Jericho. And the Lord showed him all the land of Gilead as far as Dan, all Naphtali and the land of Ephraim and Manasseh, all the land of Judah as far as the Western Sea, the South, and the plain of the Valley of Jericho, the city of palm trees, as far as Zoar. Moses was about to die. If you recall recent events in his life, he had so displeased God that he was not going to be allowed to enter the Promised land. After all that wandering in the wilderness for 40 years, putting up with a bunch of whiners and complainers, faithfully serving God, seems kind of unfair…..until you understand things from God’s perspective. Look at the last line of the passage above. What an amazing statement, huh? It says of him in Deuteronomy 34:7, “Moses was one hundred and twenty years old when he died. His eyes were not dim nor his natural vigor diminished.” 120 years old, 20/20 vision, and as vigorous as any 20 year old. What was his secret? The verses below in Hebrews 11 hold the clue. “By faith Moses, when he was born, was hidden three months by his parents, because they saw he was a beautiful child; and they were not afraid of the king’s command. Whoa! Moses knew about Jesus? Yep! He didn’t know His name, of course. He would have known Him as Messiah. That’s what Christ means in Greek. Those two capitalized phrases in red above are the key: Moses kept his eyes on JESUS! Keeping Jesus in the forefront of his vision gave him supernatural PHYSICAL strength! There is only one occurrence of this word in the entire Bible and it is right here in this verse. That is no coincidence. It means this principle is of utmost importance. 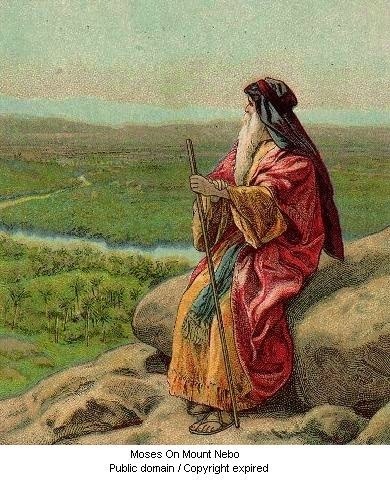 This picture of Moses is the ultimate proof that we are transformed by beholding, just like it says in 2 Corinthians 3:18. The word for beholding in this verse is “Katoptrizó,” meaning “mirror, reflect.” It also, like the word above, occurs only one time in the entire Bible, right here in this verse! The Burning Bush, The Menorah, And The Church. Remember when Moses first met God? It was at the Burning Bush. Later in life, Jewish artisans under Moses’ direction, would make the seven-branch menorah that would give light in the Holy Place in the Tabernacle. 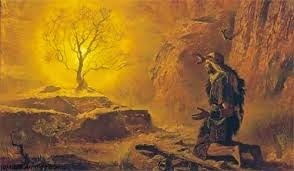 It is reminiscent of the burning bush, which depicts Jesus, the Light of the world. The menorah of the Tabernacle was an almond tree because it is the first tree in Israel to awake from it’s winter sleep, so to speak. It is a picture of resurrection. But this bush is also a depiction of something else. 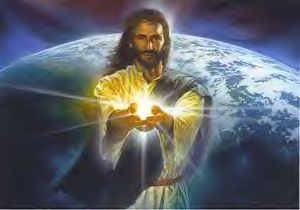 Jesus is the Light of the world, but who carries His light to the world today? The Church! Just like the fire that did not consume the bush, so you and I can be “On Fire for Jesus,” have supernatural strength, and supernatural energy. How do we do that ? By doing what Moses did: KEEP YOUR EYES ON JESUS! That is his secret to longevity.